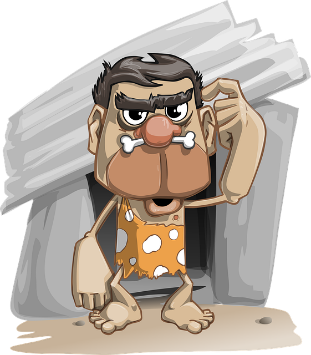 Should a Paleolithic diet be offered at early childhood education and care services? Supporting Nutrition for Australian Childcare (SNAC) was developed by researchers at the School of Medical and Health Sciences at Edith Cowan University. The website provides guidance and resources about nutrition and healthy eating environments for children’s education and care services, as well as an online community focused on supporting practice. Dr Ruth Wallace and Angela Genoni from SNAC talk to We Hear You about the key elements of a Paleolithic diet and how the diet might impact on children’s growth, development and health. The idea of offering children Paleo foods – more lean meat and fish and less discretionary foods – may sound like a healthy way to go, but is it? Before you go down that road, let’s stop to consider whether such a diet will give the children you nurture and care for enough energy to grow, play and learn. There is a lot more you should understand about the Paleo way of eating before you offer this at your early childhood education and care (ECEC) service. The main principle of following a Paleo diet is to eat the foods our ancestors ate thousands of years ago during the Paleolithic Age. These foods include lean meats, fish, fruit, vegetables, nuts and seeds. Foods that became staples when farming began around 10,000 years ago are not typically included in a paleo diet. For example, grains such as wheat and barley (used to bake bread), pasta and rice, beans and other legumes, dairy products, potatoes and other starchy vegetables, and more recently highly processed foods such as chips, cakes, cookies, processed meats and ready meals (Cordain, 2011). So can Paleo foods provide enough fuel for children? Some research has shown that adults following a strict Paleo diet have reported losing weight, lowered blood pressure and other benefits from ‘going paleo’ (Masharani, et al., 2015), since this way of eating typically cuts out added sugars, salt and discretionary foods. While eating more vegetables and fruit is a positive, there is no research showing the diet is beneficial over the longer term (Mellberg, et al., 2014; Genoni, et al., 2016). Children are a different story as their bodies and brains are growing and developing rapidly. They need a wide range of healthy foods from all five core food groups to ensure a sufficient intake of energy and nutrients to fuel this period of rapid growth and development, and to ensure they remain fit and healthy (NHMRC, 2013). Providing children with foods only from the Paleo diet actually removes two whole core food groups (dairy and cereals/grains), and even some vegetables that are recommended as part of a balanced diet. Most health professionals would not recommend the Paleo diet for young children. Eating the Paleo way takes a lot of planning: Since the diet relies heavily on nuts, and many ECEC services are nut-free, children may not consume sufficient energy without the inclusion of nuts at mealtime. It is also likely to blow the food budget as protein sources such as meat and fish are more expensive than vegetables and grains that are the bulk of a healthy balanced diet. Children will need to find sufficient fuel from other foods: Complex carbohydrates such as whole grains readily provide sufficient energy and B vitamins to allow children to grow and be active. If foods such as rice and wholegrain bread are not provided, children will have to use other key macronutrients for fuel such as protein and fat, which may result in stunted growth, failure to thrive and other nutrient deficiencies (Brown, 2008; Desrosiers, et al., 2018). Too much meat may be harmful to children’s health: Following the Paleo diet focuses heavily on meat, so children could be eating more unhealthy saturated fat than is recommended (NHMRC, 2013). Future harms: Teaching children to avoid whole food groups may also lead to disordered eating in later life (Hart, et al., 2014). Avoiding discretionary foods is a positive aspect of the Paleo diet, but existing guidelines already stipulate that discretionary foods should be limited in early childhood education and care and should not feature on the daily menu. More importantly, there is no research evidence to suggest following a Paleo diet is safe for the health of young children. Offer a wide variety of foods daily from all five core food groups, including lots of different colours and textures. Choose nutritious whole foods that have been minimally processed. Limit discretionary foods, which are energy dense and nutrient poor, and which displace other nutritious foods important for children’s growth and development. Allow children to self-serve at mealtimes from a wide range of healthy foods – this will support social and emotional development, and help children recognise their own hunger cues. Be a good role model. Sit with children at mealtimes, share the same healthy food, and offer them gentle encouragement to try foods they are unsure about. 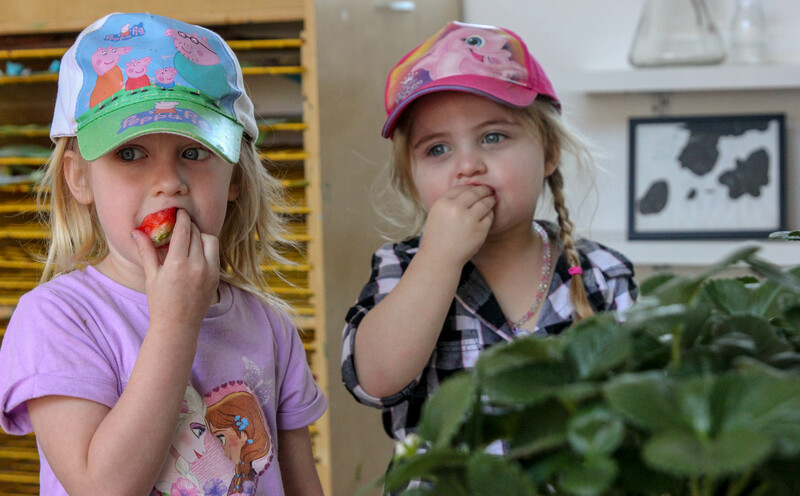 As early years educators, yours is an important role in teaching children about healthy food choices that will enable them to be active and engaged learners, and for long-term health benefits later in life. If you should receive any special dietary requests that are not supported by a medical certificate, do not comply with Element 2.1.3 (food and drinks provided should be in accordance with the Australian Dietary Guidelines), or you are simply not sure about, seek further advice from your service director, or visit the SNAC website. Brown, J. (2008) Nutrition Through the Life Cycle (3rd ed. ), Thomson Higher Education, Belmont, USA. Cordain, L. (2011) The Paleo Diet, John Wiley & Sons, New Jersey. Genoni, A., et al. (2016) ’Cardiovascular, Metabolic Effects and Dietary Composition of Ad-Libitum Paleolithic vs. Australian Guide to Healthy Eating Diets: A 4-Week Randomised Trial’, Nutrients, vol. 8, no. 5, p. E314. Hart, L., et al. (2014) ’Parenting to avoid body dissatisfaction and unhealthy eating patterns in preschool children: A Delphi consensus study’, Body Image, vol. 11, pp. 418-425. Masharani, U., et al. (2015) ’Metabolic and physiologic effects from consuming a hunter-gatherer (Paleolithic)-type diet in type 2 diabetes’, European Journal Of Clinical Nutrition, vol. 69, no. 8, pp. 944-948. Mellberg, C., et al. (2014) ’Long-term effects of a Palaeolithic-type diet in obese postmenopausal women: a 2-year randomized trial’, European Journal Of Clinical Nutrition, vol. 68, no. 3, pp. 350-357. National Health and Medical Research Council (2013) Australian Dietary Guidelines, NHMRC, Canberra. Author ACECQAPosted on May 21, 2018 June 7, 2018 Categories Early childhood education, Health and safetyTags NutritionLeave a comment on Should a Paleolithic diet be offered at early childhood education and care services? 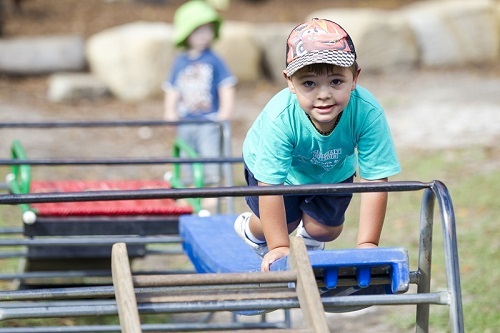 Amanda Lockeridge, State Program Manager for Munch & Move at NSW Health, writes about the importance of healthy eating and physical activity for young children. One in four Australian children are overweight or obese. Causes of obesity in children include unhealthy food choices and lack of physical activity. We know that good nutrition and physical activity for young children are vital to support healthy growth and development, to prevent illness and to provide the energy children need to power through their day. It is also important to lay the foundation for a healthy and active lifestyle from a young age. As many children spend significant amounts of time in early childhood education and care services, these services provide an ideal setting to promote and foster appropriate healthy eating and physical activity habits early in life. So how do we support children to learn about the importance of healthy eating and physical activity? “We can make endless plans, but the true magic of teaching and learning comes from spontaneous, genuine and thoughtful interactions, provisions and relationships with the children,” said Jennifer Wood, Early Childhood Training and Resource Centre (ECTARC) Munch & Move Trainer. The National Quality Framework acknowledges the importance of children’s nutritional and physical health needs and that learning about healthy lifestyles should underpin services’ everyday routines and experiences. 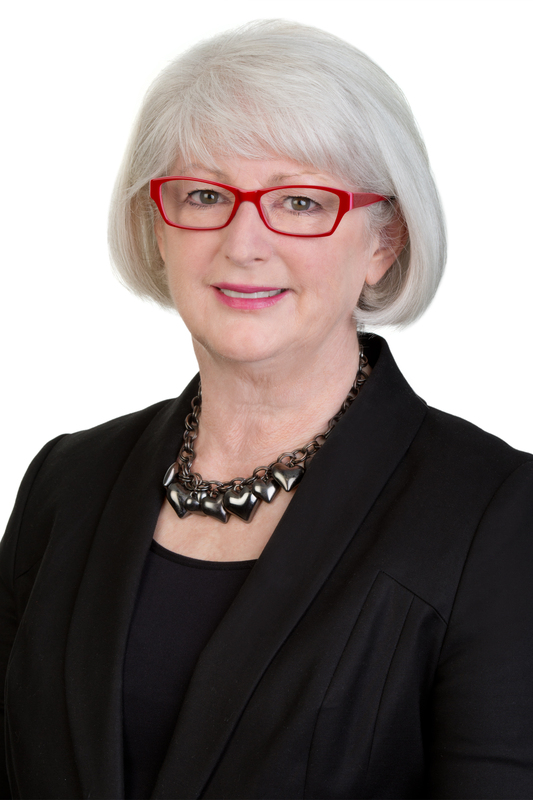 This is supported through Quality Area 2 – Children’s health and safety, Standard 2.2 – Healthy eating and physical activity are embedded in the program for children, and the Early Years Learning Framework and Framework for School Age Care, Learning Outcome 3 -Children have a strong sense of wellbeing. Element 2.2.1 – Healthy eating is promoted and food and drinks provided by the service are nutritious and appropriate for each child. Have a nutrition policy (for food provided by the service and/or the family in the lunchbox). 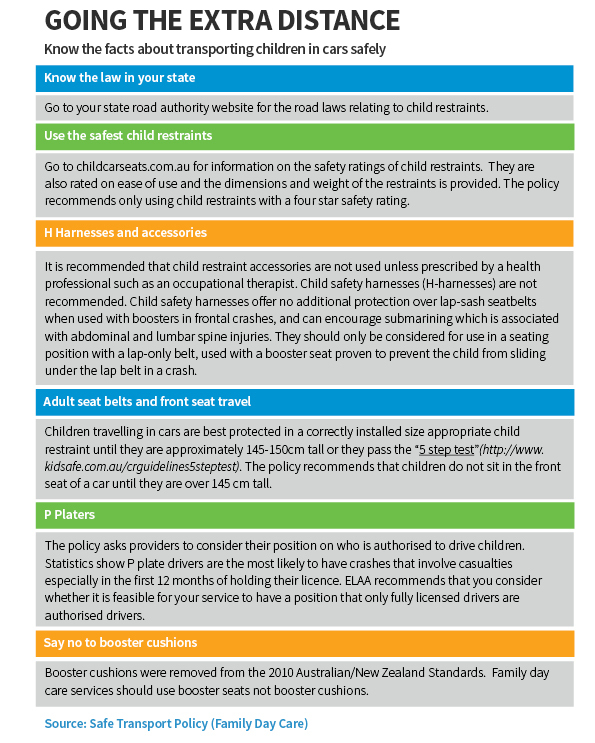 Involve children, families and other agencies (such as Munch and Move) in developing the policy. If the service provides food, display a weekly menu. If families provide the food, make available some suggestions about healthy food options. Food and drinks provided by the service should be consistent with the recommended guidelines for education and care services in Australia, e.g. the Get Up & Grow Guidelines and/or the Australian Dietary Guidelines. Discuss healthy eating and fruit and vegetables with the children at mealtimes, offering a range of foods from different cultures. Involve children in activities that focus on nutrition throughout the educational program. Some activities include setting up the lunch area as a restaurant, creating a vegetable garden, implementing cooking experiences, creating a healthy lunch book that includes recipes, sharing food photos and children’s conversations, using photos to encourage the drinking of water and promotion of fruit and vegetables. Element 2.2.2 – Physical activity is promoted through planned and spontaneous experiences and is appropriate for each child. Maintain a balance between spontaneous and planned physical activity, and passive and active experiences. Encourage each child to participate in physical activities according to their interests, skills, abilities and their level of comfort. Talk to children about how their bodies work and the importance of physical activity for health and wellbeing. Encourage and participate in children’s physical activity. Standard 3.2 – encourage and support children to participate in new or unfamiliar physical experiences and encourage children to use a range of equipment and resources to engage in energetic experiences. Element 5.1.1 – provide children with relaxed, unhurried mealtimes during which educators sit and talk with children and role model healthy eating practices. Element 6.2.2 – communicate with families about healthy eating, by providing information through newsletter snippets, fact sheets, photos, emails and face to face discussions. Element 7.3.5 – develop a physical activity policy. Lisa Booth, Director at Wallaroo Children’s Centre in NSW, recognises the importance of encouraging healthy eating and physical activity. “We encourage and support children by providing nutritious meals and a water station that the children can access,” Lisa said. “Physical activity and healthy eating are embedded in all areas of the curriculum. Educators understand the importance of promoting children’s health and well-being through both planned and spontaneous experiences. There are a number of resources that support educators and services to promote and encourage healthy eating and physical activity through relevant learning experiences, resources and interactions.